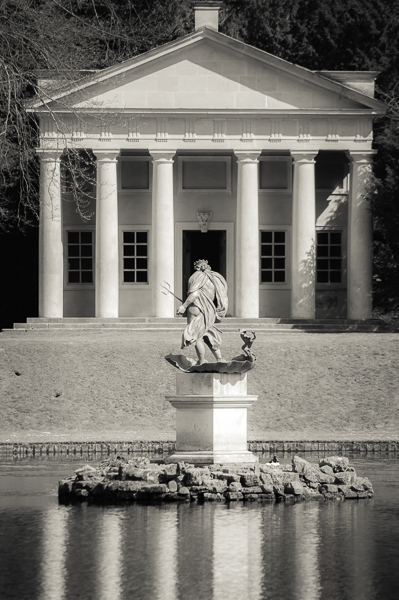 Neptune watching the comings and goings at the temple at the reflecting ponds at Studley Royal Estate near Ripon, North Yorkshire. Mono conversion finished with a very light sepia tone in the highlights. Neptune erfectly positioned against the dark entrance to the Temple. Very subtle but highly effective sepia toning.